Writing faster is a task of practice to a large extent. The more you write, the faster you become. However, if you keep doing things without improvisation, you will reach the plateau at some place. You can see a significant gain in your writing productivity by having the right kind of practice and tools. Build up your database: The preparation required for phd thesis writing is quite similar to the preparation required for cooking. If you have all your ingredients ready in advance, you can put up the things together much faster. Writing relies on data, its analysis and if it is done priorly, it can get organized in a much better way. Let go of the tendency to be perfect: Getting fast requires the writer to give up the habit of looking for perfection in the first go. This helps to declutter the tasks in mind and, it is important to just focus on writing in the first go. Improvisations can be seen at a later stage. A good and smooth riding process needs to be like iteration, you need to get all the stuck ideas out of your head and then start fixing and treating them one at a time. 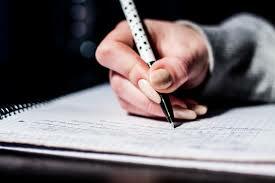 Write regularly: Make it a practice to write frequently, every day, even if you write little. When you do this by habit, your brain stays tuned to the topic and stays in the habit of writing, and it becomes a relatively easier task where ideas flow our spontaneously and increase your consistency and speed. Smaller steps each day are more productive than a big leap once in a while. Read as much as you can: When you have ideas in your mind, then it becomes easier to express them in words. You must read about your topic, research, and the results obtained wherever possible and whenever you find the time. When there is an abundance of information in your mind, then the flow of concrete ideas is faster. Do not do multitasking while writing: When you are writing make sure that you just write. Don’t improvise and proofread at that time. First, finish writing and then leave the proofreading for a later time. This will not disturb the task at hand and improve not just the speed but also the quality of ideas in your mind. Enjoy writing: Enjoy writing because until the time your heart isn’t into it then results won’t be desirable. Make it fun and see the results. Copyright 2015,PhdThesisWriters.com All Rights Reserved.